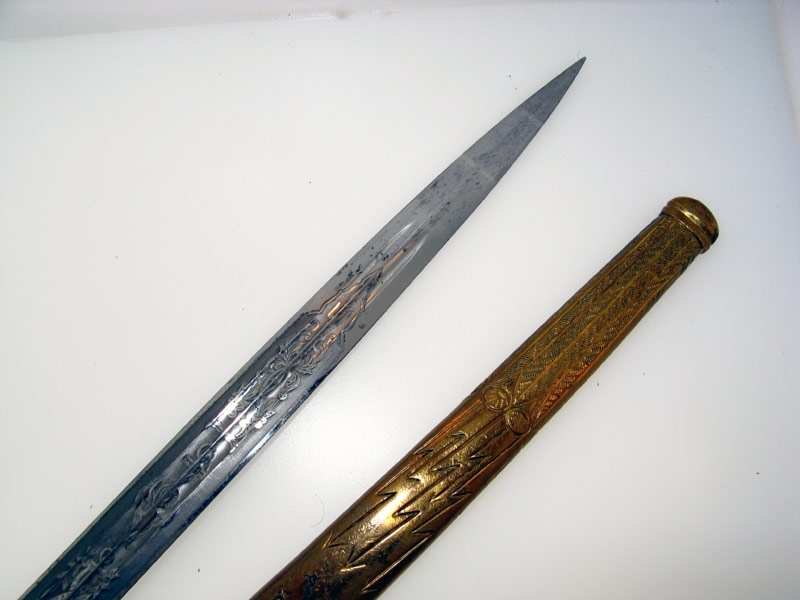 Early good quality dagger, brass fittings. 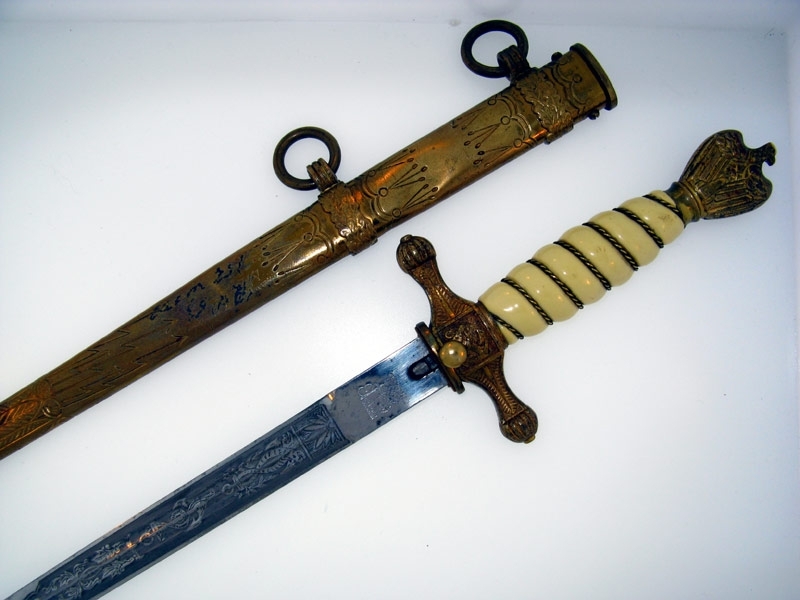 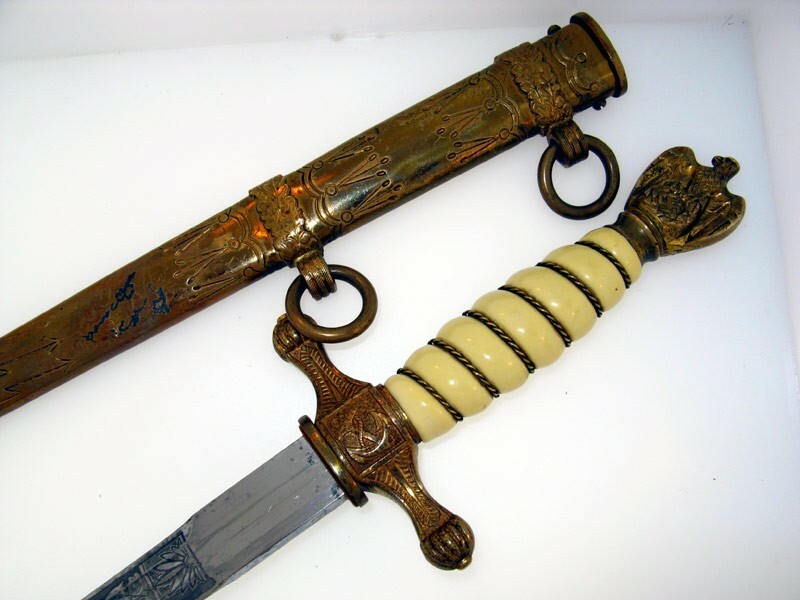 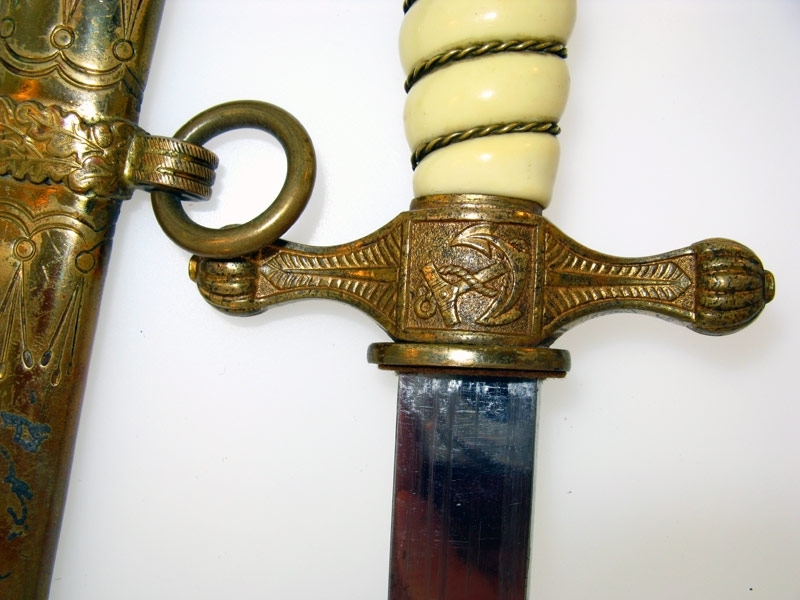 Double engraved blade exhibits few minor imperfections, nearly extremely fine; both the pommel and the cross guard are early quality brass base having nearly 100% of the gilded finish, in addition to having very fine detail throughout. 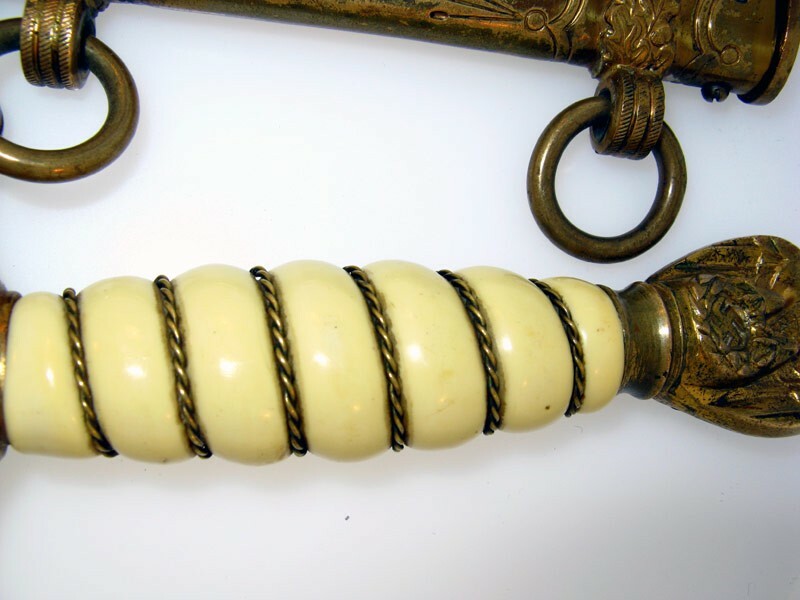 The celluloid over wood grip is an off-white color, no chipping or cracks, extremely fine. 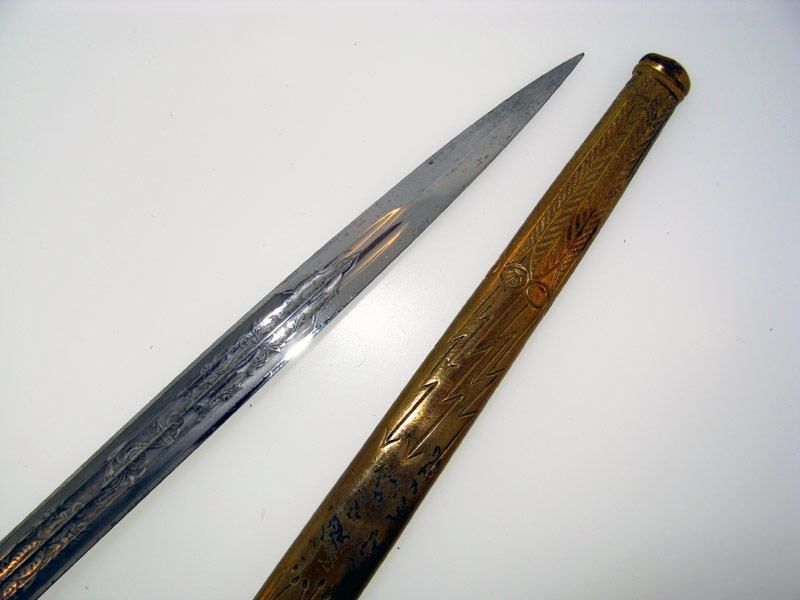 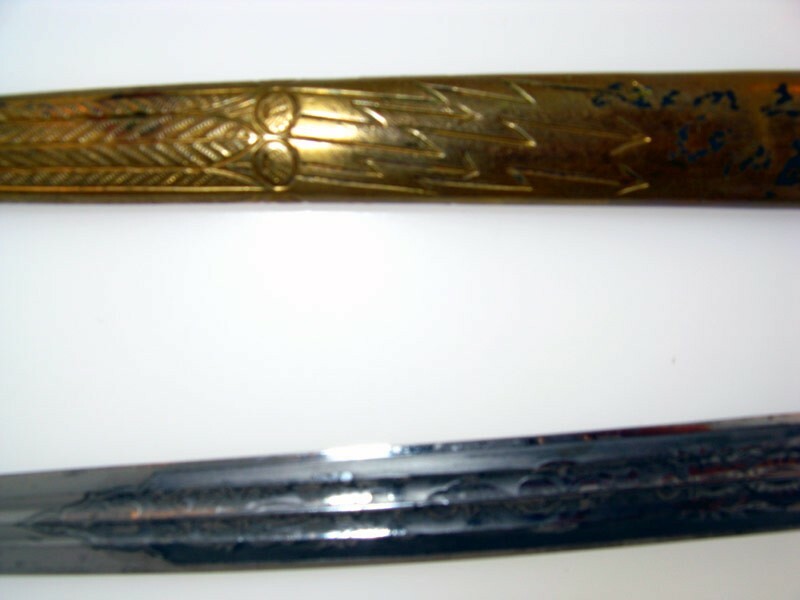 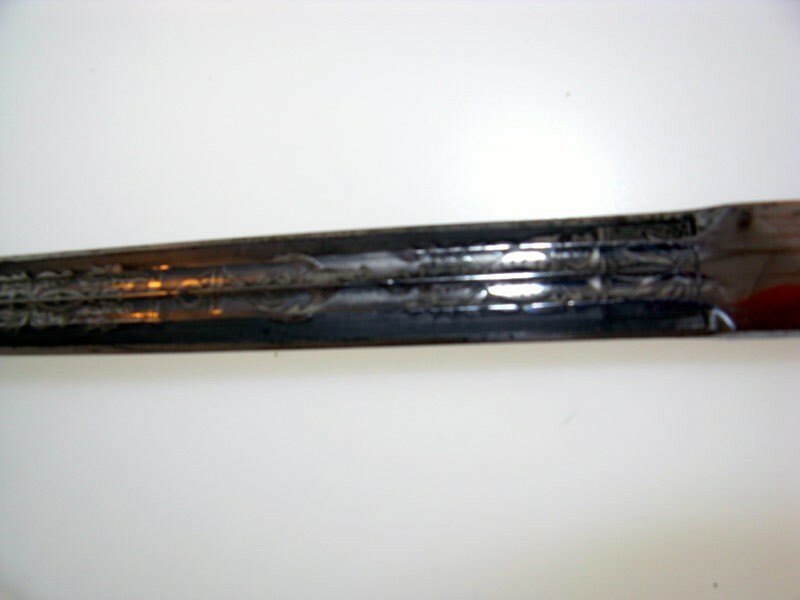 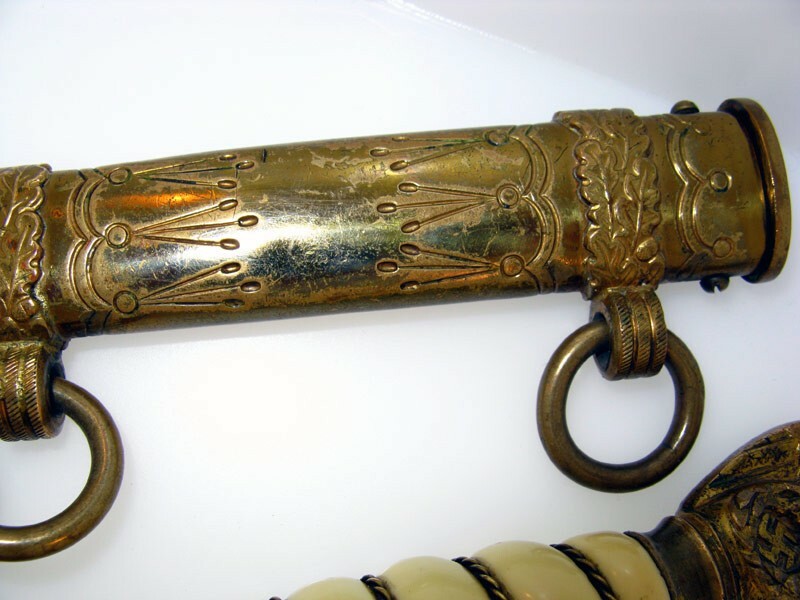 The typical Eickhorn scabbard is the lightning bolt variety, the gilding remains in very fine condition, though there are few dents on scabbard. 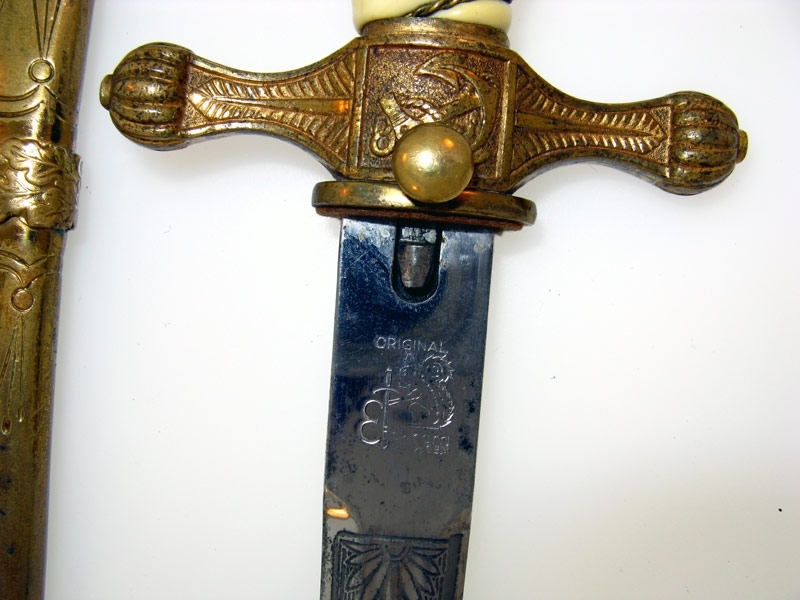 Overall very fine + condition.